Looking for a last minute sweet treat for your holiday entertaining that is sure to WOW your loved ones? 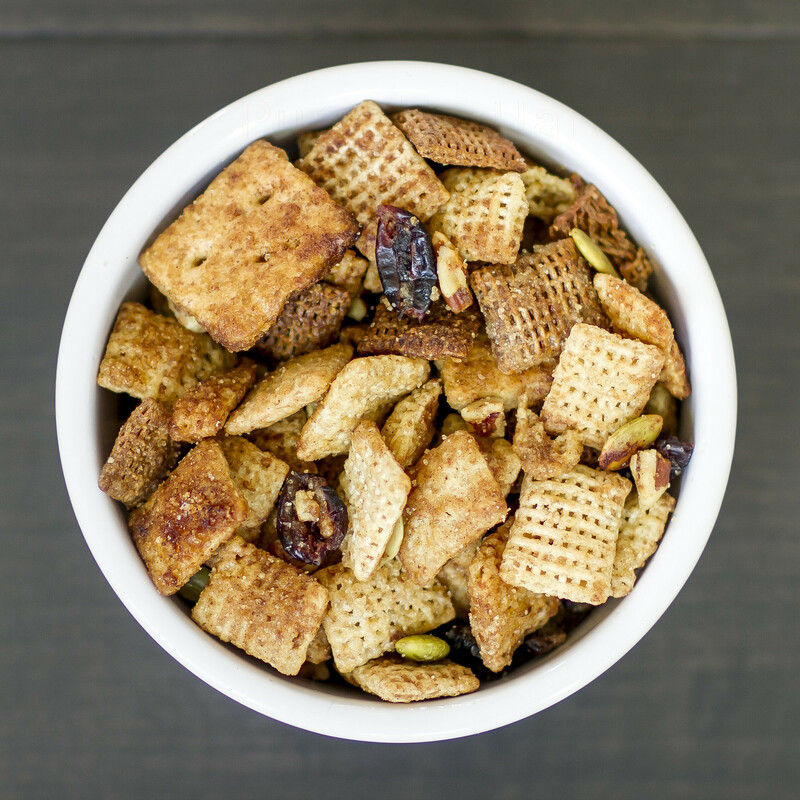 This pumpkin harvest Chex mix (complete with pumpkin seeds, dried cranberries, and pecans) is the perfect pre-dinner snack to get the party started tomorrow night! I don't know about you, but I absolutely love snacking before the main event. In fact... I think I might even like it more than the dinner itself. With plenty of savory options already covered at my family get together, I was tasked with finding a sweet treat to please. I found this recipe and I knew it would be perfect. All it took was one quick trip to WinCo and I had all I needed! My love for that store is no secret to anyone who knows me. They have the best prices and their bulk foods section rivals that of any so-called "health food or natural store" (think Whole Foods) but at a fraction of the cost! They're even cheaper than Costco. I'm not sure how they do it, but I'm certainly not complaining. Click this link for Winco Chex & Betty Crocker Coupons and a chance to win a $100 gift card! I made this last night in the slow cooker and it has already been a huge hit with my family. I might actually have to make it again because we have already eaten almost the entire batch. We just can't keep out of it. It's a good "problem" to have. 1. 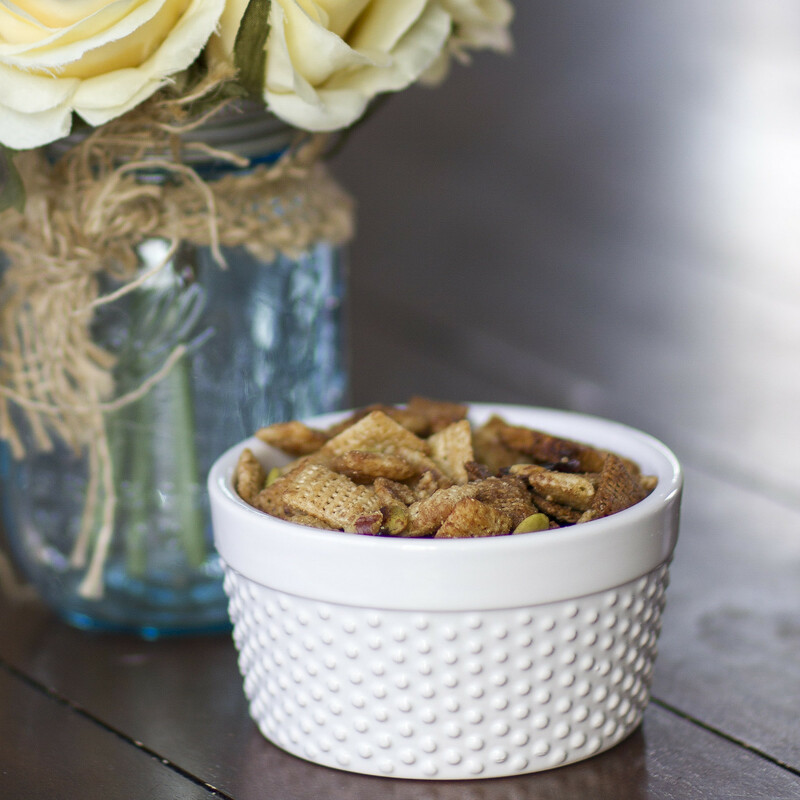 In your slow cooker stir together the cereals, pecans, graham crackers, dried cranberries and pumpkin seeds. 2. In a small bowl mix together melted butter, brown sugar, pumpkin pie spice and vanilla. Stir until well combined. Pour over the cereal mixture; stir (gently so you don't break the cereal pieces) until evenly coated. 4. Spread cereal mixture on ungreased cookie sheet or waxed paper. Cool 3 to 5 minutes before serving. And lastly I've partnered with WinCo, Betty Crocker, and Chex and I'm giving one lucky follower an opportunity to win $10 in Paypal cash. This giveaway will go for one week and the winner will be notified via email. Good luck! And Happy Thanksgiving! This post is sponsored by Chex & Betty Crocker but the content and opinions expressed are entirely my own. 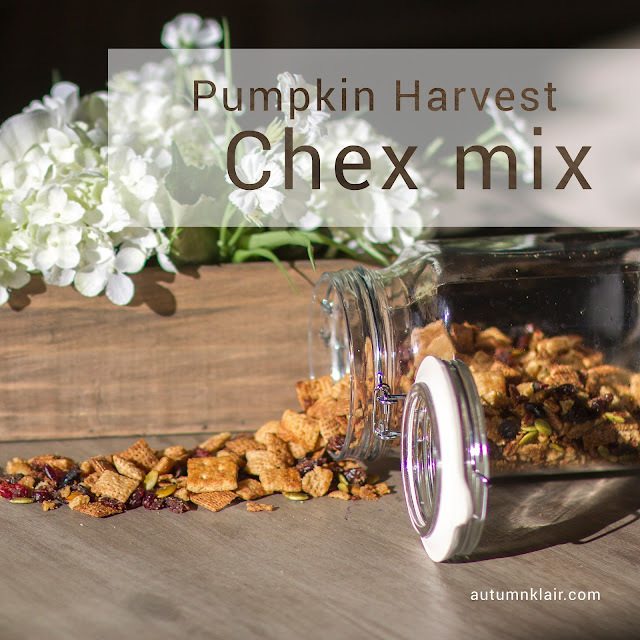 Pumpkin Harvest Chex Mix recipe just an awesome recipe item. So nice post. This food is for a real hunger. Try this link also http://best-essay-writing.services/ for get the better essay writing services. I am a professional writer in here. Wow so nice and delicious recipe. Really i fond of this item. It's very tasty. For need a good essay writing services just visit essayon time.com.au this link. I am a writer of that site for since 2 years. So i suggested you to visit there. Thanks! 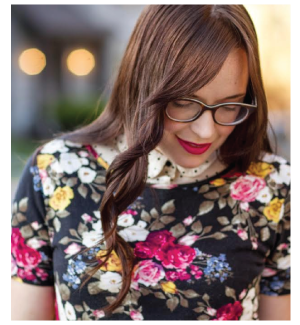 As we all know, your blog's database is actual important, because it food all of your blog's capacity wordpress backup and added information. But what would you do if your WordPress blog is aback hacked? Or bootless to advancement to the latest adaptation of WordPress?